Agile has revolutionized the way teams approach software development, but with dozens of agile methodologies to choose from, the decision to "go agile" can be tricky. 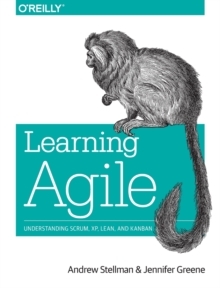 This practical book helps you sort it out, first by grounding you in agile's underlying principles, then by describing four specific - and well-used - agile methods: Scrum, extreme programming (XP), Lean, and Kanban. Each method focuses on a different area of development, but they all aim to change your team's mindset - from individuals who simply follow a plan to a cohesive group that makes decisions together.